A casual dream of a coat! 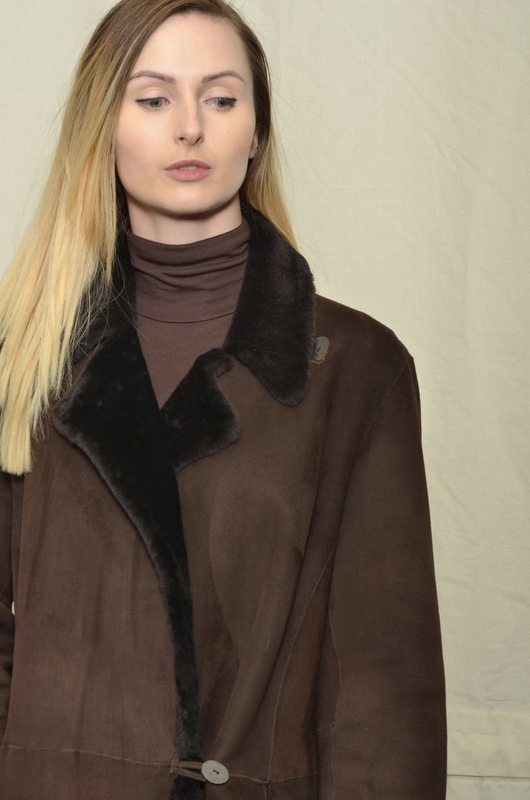 Ultra soft, lightweight Dark Brown shade Merino Shearling long coat. Gently fitted body, tailored sleeves with turn back cuffs, classic rever style collar can be worn open as pictured or fastened high in the neck, comfortably placed pockets. The front outer edges are turned to show the soft inner wool and the hem is unturned to give a more modern look. 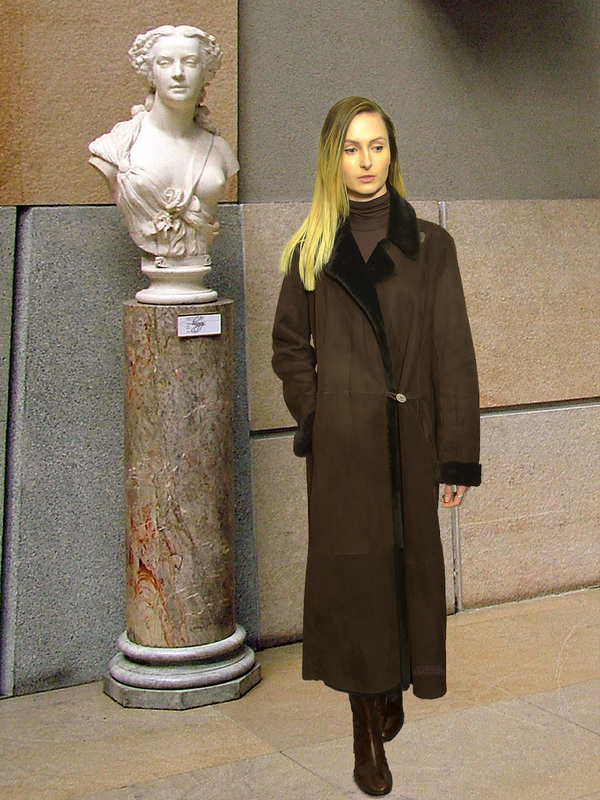 Coat length extra long in Dark Brown as pictured approx. 50" (127 cm). Coat length in Anthracite (pictured below) approx.53" (134.5 cm).